After recently supporting the production of Transforming the Early Childhood Workforce: A Call to Action for the State of Illinois, the McCormick Foundation’s Education team is now working in coordination with Cathy Main from the University of Illinois at Chicago and the Governor’s Office of Early Childhood Development to communicate the report recommendations to the broader early childhood community. We will be hosting conversations around the state to get stakeholder feedback, and will be coordinating with other workforce initiatives to create a statewide action plan aimed to improve quality and increase compensation for early childhood educators. On August 21, 2015, Illinois Governor Bruce Rauner signed bipartisan legislation requiring high school students to successfully complete a semester of civics prior to graduation. The law took effect at the beginning of the 2016-2017 school year, but the McCormick Foundation’s leadership and support of course implementation efforts began upon passage. The absence of state funding for implementation necessitated the commitment of private dollars. The McCormick Foundation has long invested in school-based civic learning and rallied the local philanthropic sector to raise an additional $1 million for implementation annually over three years to underwrite the #CivicsIsBack Campaign. 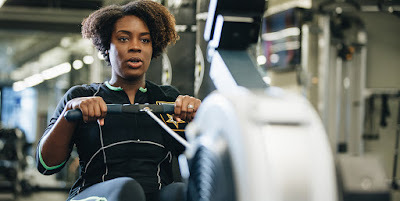 Funding partners include Allstate, Boeing Corporation, Chicago Community Trust, Crown Family Philanthropies, Joyce Foundation, MacArthur Foundation, and Spencer Foundation. Teacher professional development is central to the #CivicsIsBack Campaign given the new course requirement and the proven civic learning practices embedded within. These include structured discussions of current and controversial issues, service learning, and simulations of democratic processes. Prior to passage of the law, four in ten high schools offered a civics or government courses, but had no requirement in place, and 13% didn’t offer even an elective course under the umbrella of civics. #CivicsIsBack is truly a statewide effort. While two-thirds of high school students reside in in Chicagoland, 60% of Illinois’ high schools are located throughout the rest of the state. In order to meet the needs of all teachers, schools, and districts, we knew that regional institutional partners were imperative as sites for professional development and trusted local partners that had existing relationships with teachers. These sites are scattered across the state and include colleges, universities, and regional offices of education. Thirty-eight veteran civics teachers were recruited in every educational region outside of Chicago Public Schools, to act as mentors for schools and educators needing support to implement the new requirement. Additionally, these mentors were also paired with Lead Mentor Mary Ellen Daneels to deliver regional summer workshops and more localized sessions for schools and districts throughout the school year. Since October 2015, the McCormick team and Teacher Mentors have provided a combined 1,252 hours of professional development to 8,937 Illinois teachers. Chicagoland has an abundance of civic learning programs and resources. Through the Campaign, we sought to provide a larger platform for these organizations to share their resources outside of northern Illinois. These organizations helped to train Teacher Mentors and adapted their curriculum and resources for them to disseminate with colleagues, schools, and districts in their respective regions. Core partners are the Constitutional Rights Foundation Chicago, Facing History, Mikva Challenge, News Literacy Project, and We Schools. The Foundation is also deeply committed to the city we call home, and are a proud supporter of Chicago Public Schools (CPS) Office of Social Science and Civic Engagement. 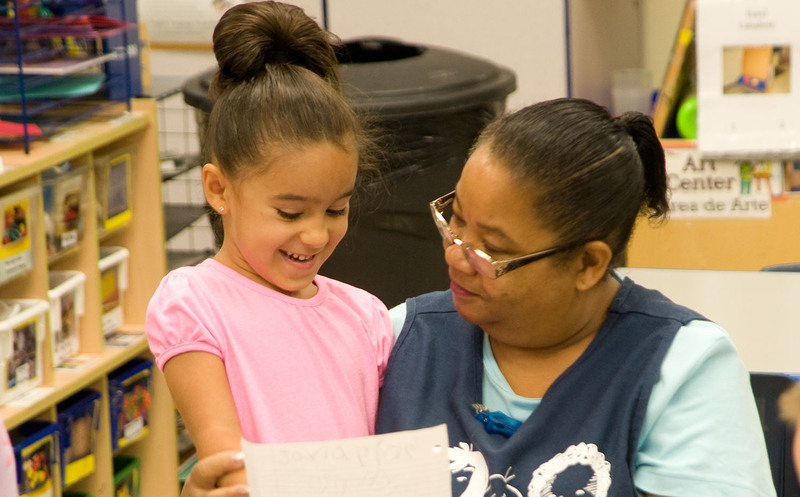 CPS has built the nation’s preeminent civic learning program for a large, urban district. The district has designed a year-long civics course, Participate, in alignment with the law, that is now offered in nearly all of the district’s 92 high schools. Thanks to the leadership of CEO Janice Jackson, CPS has also scaled student voice committees (SVCs) in all of the district’s high schools and an increasing number of elementary schools that serve the middle grades (6-8). SVCs convene a cross-section of students to discuss issues of common concern in their school. They meet regularly with building administration to determine if and how they can be resolved. The #CivicsIsBack Campaign has partnered with the Center for Information Research on Civic Learning and Engagement (CIRCLE) to study of the impact of our comprehensive implementation efforts. This includes the fidelity by which teachers, schools, and districts have implemented the law, the impact of our teacher professional development offerings, and ultimately, students’ exposure to proven civic learning practices and related civic engagement outcomes. 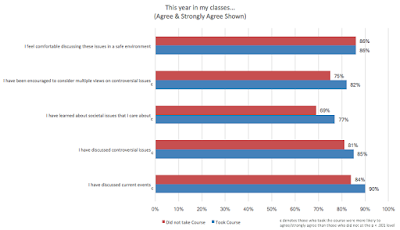 Students enrolled in civics courses were significantly more likely to report discussing current events and controversial issues, including issues they care about personally, and to consider multiple viewpoints with respect to these issues (see graph below). Civics course participants also demonstrated strong information literacy skills, were better able to determine the trustworthiness of a news source (92% to 88%), identify political bias in online information (89% to 81%), and create or share something online related to a social issue (48% to 36%). 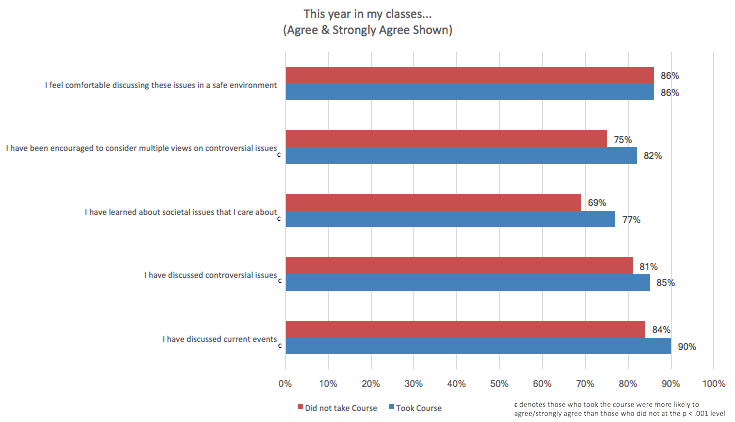 These students also have stronger civic values, including a responsibility to be concerned about state and local issues, to believe that they can make a difference in their communities, and to exhibit trust in fellow community members (see graph below). Helping to make their city or town a better place for people to live (38% vs. 27%). Volunteering their time (at a hospital, day care, etc. ; 37% vs. 30%). Discussing politics or public issues online (36% vs. 30%). Serving as a leader in a group or organization (50% vs. 40%). The #CivicsIsBack Campaign concludes in June 2019, but our efforts to strengthen school-based civic learning in Illinois are ongoing. In the coming year, with our partners at the Florida Joint Center on Citizenship, we will launch a free online course series centered on proven civic learning practices where participants can earn microcredentials in each. We also plan to advocate for integration of civic learning into the middle grades via state legislation. And finally, the Democracy Schools Initiative will release revised civic assessment tools to assist schools in strengthening civic learning across the curriculum, in extracurricular activities, and in the organizational culture of the institution as a whole. More funders are finding ways to promote the voice and leadership of the communities they partner with and serve by engaging them in the grantmaking process. This process, often referred to as participatory grantmaking, helps shifts the traditional power imbalances that exist in philanthropy by engaging the grantees who are affected by the issues that funding is addressing in the decision-making process for grants. For some foundations, this means including grantees in the process for setting priorities, developing strategies, conducting research, and sitting on boards or advisory councils. While others are using various elements of participatory grantmaking approach based on what their institutions, polices, and structures will allow. At the core of this practice is understanding that those closest to the issue, including those with lived experience, have the knowledge the solve the challenges. 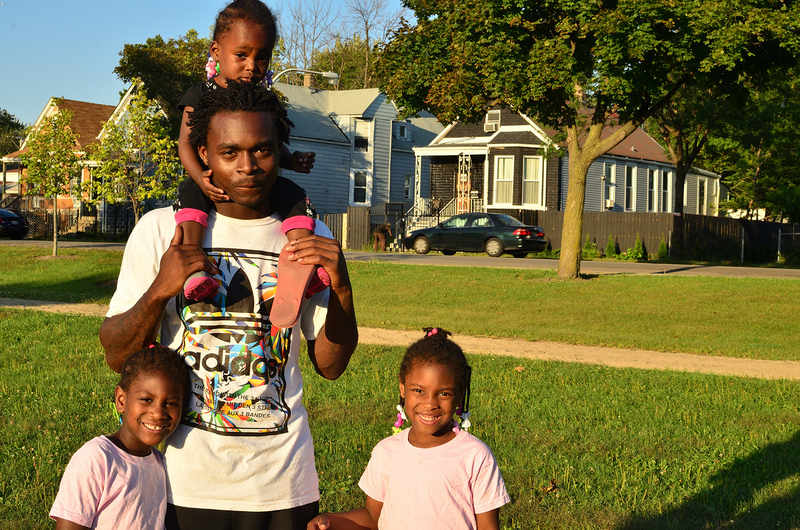 In the last year, the McCormick Foundation’s Communities Program embarked on its own journey of participatory grantmaking through its place-based work in Englewood – a predominately Black neighborhood on Chicago’s south side. 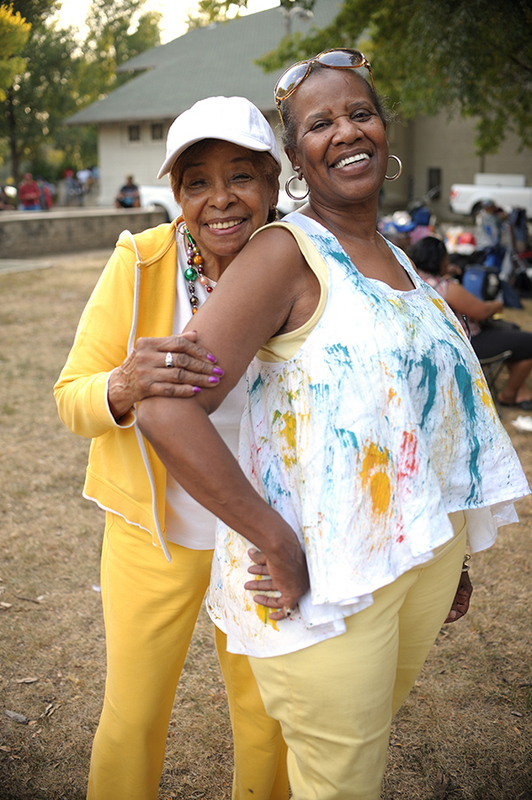 The Program supports the activities of the Englewood Quality of Life Plan (QLP), which is the result of a community-driven process that engaged hundreds of residents, community leaders, and stakeholders. Five task forces representing priority issue areas (education and youth development, health and wellness, housing, jobs and economic development, and safety) were formed to develop goals and strategies to help revitalize the community. Teamwork Englewood (TWE) a community-based social service agency, serves as the coordinating organization for the QLP and provides oversight and project management for the work implemented by the task forces. 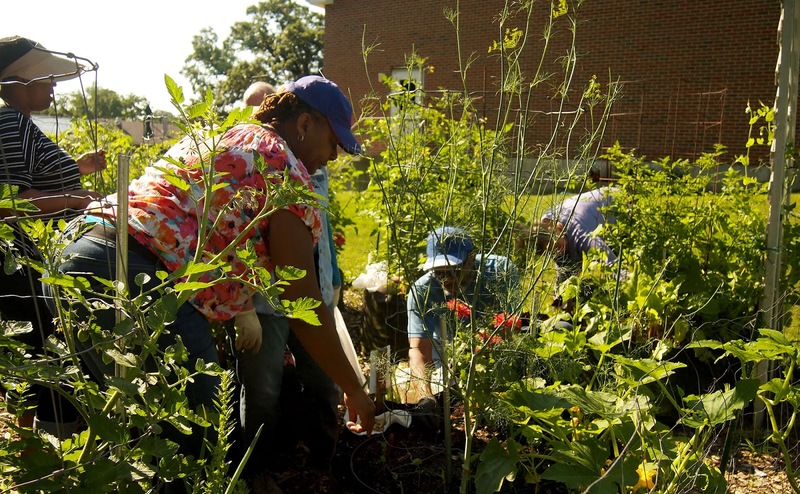 During fall 2017, the Communities Program established Impact Englewood, a McCormick Foundation Fund, in partnership with TWE and leaders of the QLP to provide a vehicle for including community input for grant strategies supporting the QLP. Englewood leaders and residents worked with the Communities Program’s Development staff to raise donations which were matched by McCormick and each task force submitted grant applications for projects and initiatives advancing strategies of the QLP. Communities Program’s grantmaking staff co-created an LOI and grant application with feedback from TWE and QLP leaders and provided training and technical assistance through weekly “office hours” for task force groups with less experience creating and submitting grant proposals. An advisory committee comprised of QLP leaders, Teamwork Englewood, and Communities Program staff went through a process of reviewing grant proposals and recommended six grants totaling $140,000 which will provide initial funding for QLP projects. The Communities Program is still on a journey of learning how to partner more effectively with communities and understanding how to use participatory grantmaking as a tool for promoting community voice, elevating power, capacity and leadership towards problem-solving, improving community-level outcomes, and closing racial gaps. In our first year of exploring participatory grantmaking, we saw that building trust and being transparent with community are cornerstones for this work. We learned that sharing and managing expectations – both from the community and the Foundation – is critical for moving the work forward and being flexible and willing to think outside of the box helped us collaborate better. We also learned that participatory grantmaking requires a great deal of time and resources, and as we continue this journey we will think about ways to build a sustainable infrastructure for participatory grantmaking with the community and implement lessons learned from our first year for continued and long-term success. When military veterans gather at Cantigny it’s usually in or outside the newly renovated First Division Museum, a monument to those who served. But during the growing season you’ll now find some veterans behind the park’s massive greenhouse as well. They come to learn, and they come to grow. It’s mostly about vegetables, but also camaraderie and mutual support. 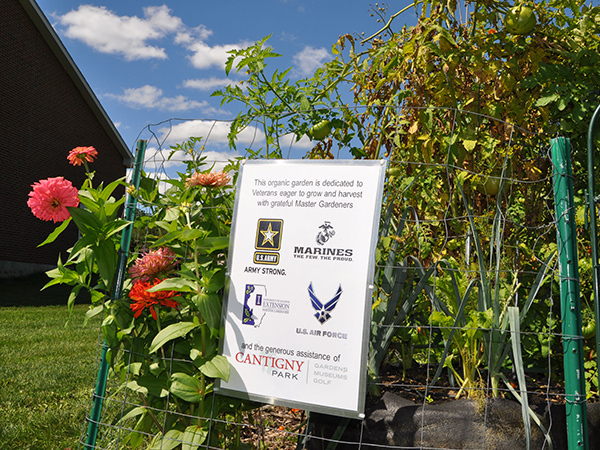 Welcome to the Veterans Garden at Cantigny, located between the greenhouse and Roosevelt Road. Established in 2016, regular visitors would never know it’s there. 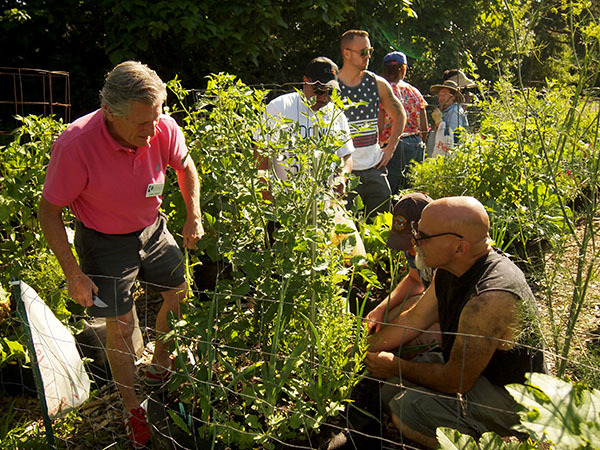 The garden is a fenced-in series of circular raised beds, or “pods,” where local veterans from various eras—usually about a dozen—spend Saturday mornings getting their hands dirty and sharing stories about their service time or anything else that comes up. 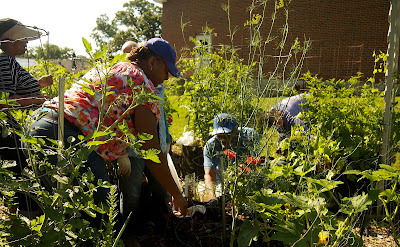 This is social gardening at its best. Along the way, the vets produce some mighty fine tomatoes, peppers, squash, carrots, beans, beets and zucchini. To be sure, it’s not beginners luck. The green-thumb wannabees are guided by Master Gardeners Fritz Porter of Glen Ellyn and Logan Wasson of Naperville. Every week from May through early September the two garden gurus share tips for successful vegetable growing around a big table inside the greenhouse. Then they all head out to the pods for hands-on learning and discovery. For most of the vets, the experience is all new and, yes, an opportunity to grow personally. A few hours in nature with some new friends can go a long way. Especially friends who have much in common. Most participants are from the Aurora Vet Center and the Midwest Shelter for Homeless Veterans in Wheaton. All veterans are welcome, which you’d expect at Cantigny. Indeed, a Veterans Garden at Cantigny seems perfectly placed. Former property owner Robert R. McCormick took great interest in crop growing on the Cantigny farm, and we know he enjoyed hosting reunions at Cantigny for his World War I comrades. If alive today, it’s easy to guess where the Colonel might spend a few Saturday mornings in the summer. Violence in Chicago has become a national headline: “More Than 100 People Were Shot in Chicago Over the Fourth of July Weekend” (Time), “3-year-old boy among 7 wounded in Englewood shooting” (Chicago Sun Times). The University of Chicago Medicine seeks to change this story. With one-third of the City’s homicides and violent crimes occurring within five miles of its campus, UChicago Medicine has the opportunity to not only deliver much-needed care to survivors of intentional violence but to become a proving ground for evidence-based interventions that reduce the number of patients who experience repeat violence. 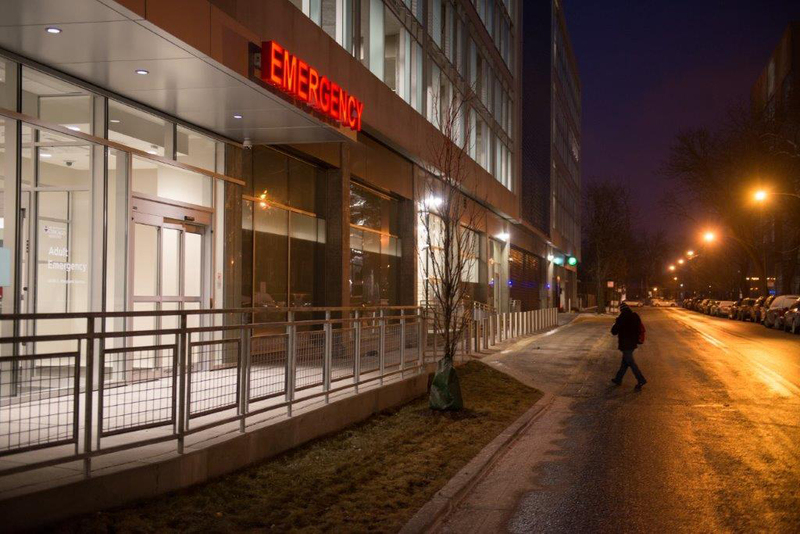 Since opening in May 2018, UChicago Medicine’s Adult Level 1 Trauma Center has had more than 700 patient encounters, an average of 10 patients per day. Of those, 40 percent were directly related to community violence. 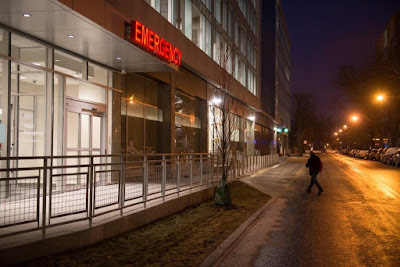 Recognizing that the epidemic of intentional violence calls for more than expert medical care, UChicago Medicine created the Violence Recovery Program, which provides intervention and ongoing, assertive case management to patients. Developed in concert with community leaders, more than 30 community organizations, and national experts, the program offers a holistic recovery for not just the patient, but for everyone affected by a trauma. Philanthropic partners, like the Robert R. McCormick Foundation, are helping make this work possible. We envision a program that builds on current knowledge and resources; develops and tests new models of intervention and prevention; and provides infrastructure for program evaluation and research on many fronts. 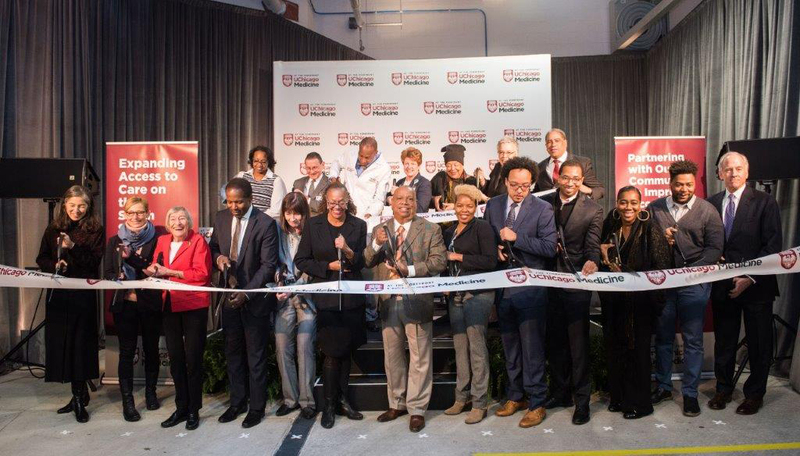 UChicago Medicine seeks to develop solutions that can benefit the City of Chicago and serve as a model for communities nationwide. 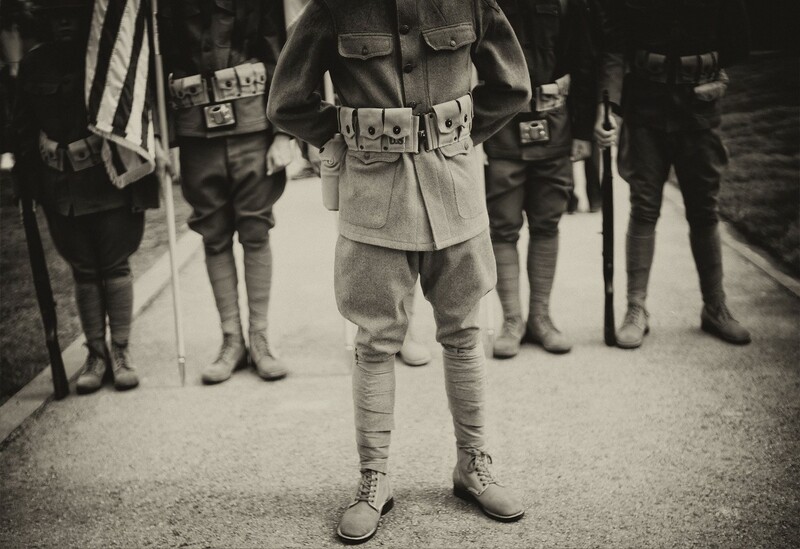 This summer, the United States is observing the centennial of World War I. 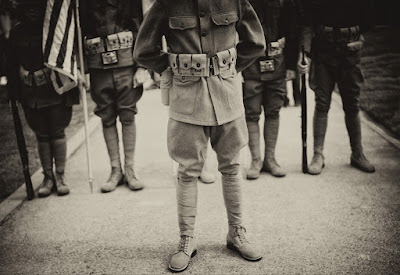 Late to the war in 1917, the fledging American Expeditionary Forces needed a year before any were combat ready. The first American battle was fought by the US First Division at Cantigny, 75 miles north of Paris, from May 28-31, 1918. As it unfolded, the Germans attacked along the Marne River and nearly reached Paris. However, the US 3d Division entered the fray at Chateau-Thierry. Immediately to the north, the US 2d Division with its brigade of Marines did likewise at Belleau Wood. With the Germans halted, the Allies went over to the counter-attack, not stopping until the Germans agreed to an Armistice on November 11, 1918. At Soisson and St. Mihiel, American doughboys made the critical difference. From September 26, 1918, to the Armistice, the United States fought its largest battle ever, between the Meuse River and the Argonne Forest in Lorraine. If all the 320,000 US casualties of the Great War were assigned to these five bloody months, they would amount to 2,000 Americans killed, wounded, missing or dead of disease, every day. Why such sacrifice? Because America sought to make the world safe for democracy. President Woodrow Wilson realized that a Europe under Imperial Germany must always be a threat to the United States and so, reluctantly, asked Congress to intervene in the war. Afterwards, the US withdrew from European affairs, only to return in a much bloodier and more dangerous Second World War. Since then, the United States led the NATO Alliance that defended democratic Europe for 50 years of Cold War and 30 years and counting of common security concerns. Alliance soldiers have served alongside Americans in the Balkans, north Africa, Iraq, Afghanistan, eastern Europe and countless other places. Their service has secured a world order in which many nations, including the United States, are largely safe to pursue democracy and demagogues and terrorists do not rule. That is a fitting legacy of those brave doughboys of a century ago and an inheritance we dare not squander. Some would believe the toughest transition a veteran experiences is entering the military. Would you believe that returning home is much harder than leaving? 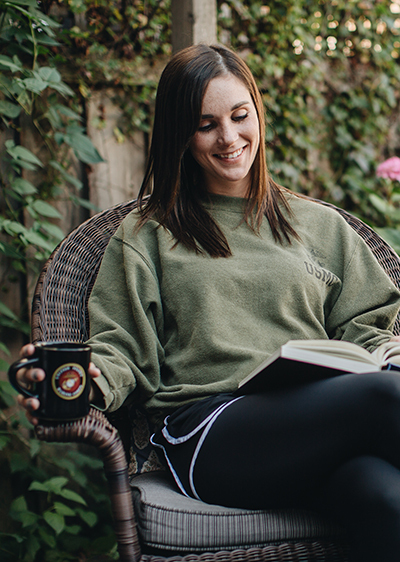 Every year over 250,000 men and women return to civilian life not only seeking a new sense of purpose but a job, a way to connect to their community, and positive opportunities to reconcile the actions of their service with the person they want to become. Only seven percent of America’s current population has served leaving many of our veterans returning home to communities that don’t understand their service or what opportunities exist after. Within that seven percent exist minority groups that face far more significant barriers to returning home. According the VA, women veterans are two to four times as likely as their non-veteran counterparts to experience homelessness, two times as likely to be using SNAP benefits than male veterans (13.0 vs. 6.3%) and have a yearly median income of $4,000 less than their male veteran counterparts. 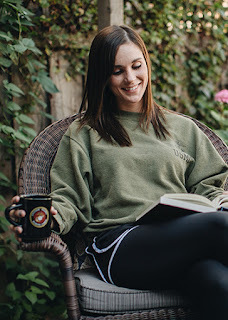 Against all those odds they are enrolled in higher education at rates higher than male veterans and the civilian female population, and more likely than those same two groups to be civically engaged. They represent over 30% of the fellows and platoon members in The Mission Continues. A veteran’s transition back into the civilian community is a pivotal point in their life and can be the deciding factor of whether they thrive after their service or become one of the tragic stories we hear all too often on the news. We must welcome our veterans back into our communities with open arms and support veteran organizations that work for our veterans. For instance, the USO PathFinder program will engage service members up to year before they leave the military and a year after to help them navigate to the resources they and their families need. All too often our nation’s heroes fall through the cracks of society it is our responsibility to ensure a less rocky transition. Every 10 years, Americans are asked to fill out and return their Census questionnaires. It's an important decennial event, given that population counts guide billions in federal spending, determine congressional apportionment, and play a key role in shaping future policies. Yet vast segments of the population often fail to respond. Greater racial and ethnic diversity, more nontraditional living arrangements, elevated poverty rates and a litany of other factors are also putting more people at risk of not being counted in 2020. These challenges, alongside other national administrative concerns, have major implications for residents and communities in Illinois. The Census Bureau’s goal is to “count everyone once, only once, and in the right place,” but this is easier said than done. 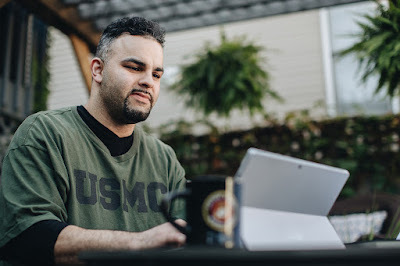 According to the Funders Census Initiative 2020, during the 1940 Census, 453,000 more men registered for the military draft than were reflected in the census. And while this disparity equated with only 3% of white men ages 21 to 35, it rose to 13% for black men in the same age cohort. In 2010, the Census Bureau overcounted whites by 0.83%, but undercounted Black Americans by 2.06%, meaning that Blacks ceded 3% of their representation to whites. Communities of color are considered hard-to-count (HTC), as are low-income households (equated with renting) and young children. When undercounted, HTC communities lose out on political representation, government funding, and even private investment. According to the George Washington Institute of Public Policy, $800 billion of federal funding supporting 300 programs is appropriated annually to states based on census counts. Due to Illinois’ undercount in 2010, the state lost $952 per person of federal funding. In 2015 alone, Illinois lost $122 million for every 1% of the population we failed to count. The Center for Politics at the University of Virginia reports that Illinois has lost six congressional seats since 1960 as a result of slow or declining population growth. They predict the loss of at least one additional seat in 2020. Texas, by comparison, has gained 13 seats since 1960 and is projected to add three more in 2020. It is widely known that Illinois is losing population in recent years, with losses most pronounced outside of metropolitan Chicago. In fact, 89 of Illinois’ 102 counties have experienced population loss from 2010 through 2017. Rockford, Kankakee, Decatur, and Metro East (suburban St. Louis) have been particularly hard hit, while Lake County is the only Chicago area county with a shrinking population. Given the stakes of Census 2020, it’s imperative that we identify and mobilize HTC communities in Illinois. HTC 2020 is a tool developed to identify HTC’s and reports that 80.7% of Illinoisans completed their mail-in census forms in 2010, meaning more resource-intense, in-person follow-up for the remaining 19.3% in needed for the 2020 Census. The Census Bureau projects that 16% of our state’s population is HTC, and that 18.1% of households have access to the Internet when administration of the census is moving mostly online. While HTCs are most prolific in the city of Chicago, there are pockets throughout the suburbs and Northern Illinois (see below). HTCs in Central Illinois include Peoria, Springfield, Bloomington-Normal, Decatur, and specific tracts in Metro East. In Southern Illinois, Carbondale, Cairo, and large portions of Pulaski County qualify as HTC. Illinois’ demography presents significant challenges for Census 2020. The stakes are high politically and financially. We must all do our part to reach HTC’s, ensuring an accurate count of all Illinois’ communities. Spread the word about the stakes of the census for Illinois, HTC’s, and public institutions serving all Illinois residents. Encourage state legislators to appropriate funding to support census outreach efforts and the Governor to prioritize a complete count in Illinois. Enlist nonprofit leaders and educators to encourage their constituents to participate in the census. Contribute to Forefront’s Democracy Initiative, which will re-grant funding to nonprofit organizations throughout Illinois to mobilize HTC constituencies. 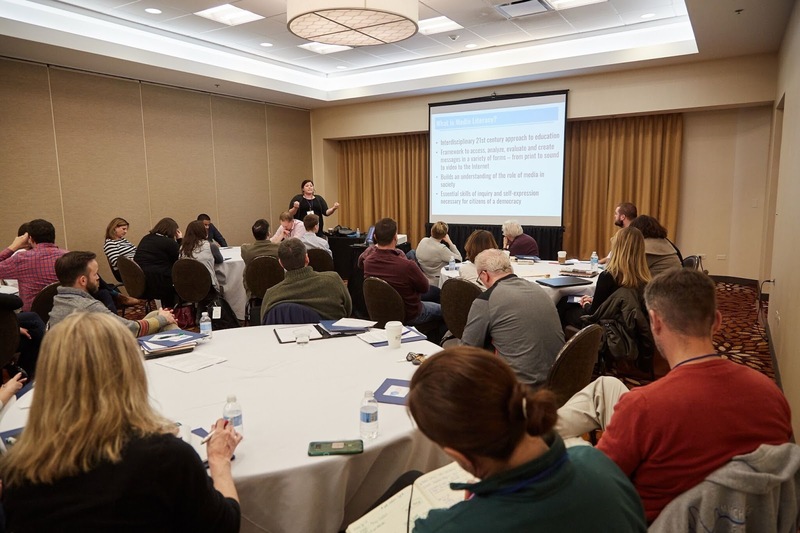 Over 225 attendees participated in the Democracy Schools Network Convening which took place March 8-9th in Naperville, Illinois with the theme “Informed Action for Equity”. This year, we recognized and celebrated 13 new Democracy Schools that joined the network. The Network now encompasses 67 high schools with representation in Chicago, its surrounding suburbs, the Metro East region outside of St. Louis, and both Central and Southern Illinois. Network members and civic learning partners presented many workshops related to our theme. Pleases enjoy reading reflections from DSN members on various breakout sessions from the convening. 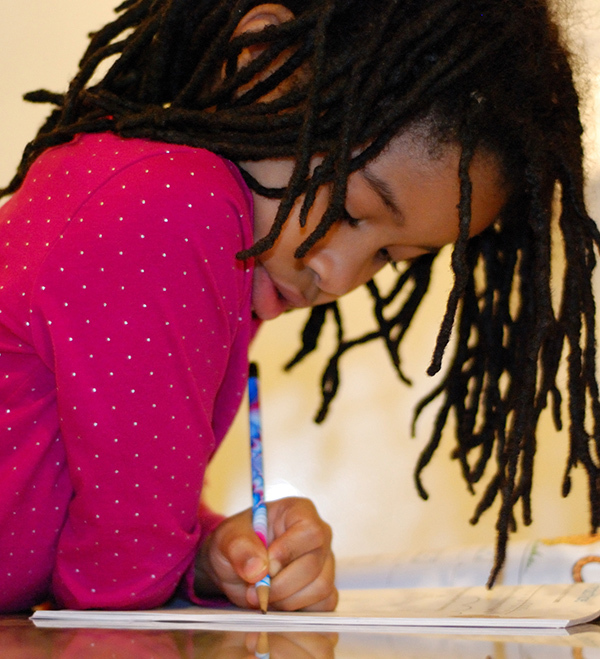 These reflections focus on fostering civil discourse and strengthening student voice. Practicing what he preached Wayde Grinstead had those who attended his Facing History session engaged! At the March 9th convening, Mr. Grinstead, Program Associate, from Facing History and Ourselves presented “Upstanding: What it Takes to Choose to Participate.” During the session he spoke about and demonstrated proven practices that that allow teachers to engage their students in discussions. The session engaged the participants in many of the literacy and SEL strategies available on the Facing History web site. In groups the participants discussed the knowledge, skills and dispositions students need to be an “upstander” with civil discourse, Mr. Grinstead had the participants utilizing key skills to engage entire classes. In one exercise participants applied the seven rules of having a civil and productive disagreement. After reading historical articles, a dialogue that was hard to stop ensued! All materials were sharing from historical situations and are available on the web site. Participants left this session with materials in hand and experience using the skills needed to foster civil discourse in their classrooms. Wayde Grinstead led an exciting session encouraging his participants to support students to take informed action. Berto Aguayo, a community organizer at the Resurrection Project, led a student session entitled “Taking Informed Action” at this year’s Democracy Schools Network convening that took place on March 9th. Students learned about the importance of using their voices to implement change in their communities and schools through leadership training. We discussed the importance of organizing and the impact it could have on our future and inside our schools. To understand what organizing does, we first had to understand why we organize and how we could use our voices as youth to establish a sense of power and promote change when organizing. Aguayo asked each of us those questions and got the same answer from everyone, “We Organize to Promote Change.” Another student responded that to promote change, we have to speak up and find those with the same passion as us and establish a relationship. This automatically made me think about our schools and how to truly change the issues that the students, teachers and administration face, we all should come together and tackle it together. It takes all three for a school to function and none can solve the issue alone. When I shared this, many agreed, and I was surprised by how many students had the same mindset. I believe this sparked something because right after we broke off into partners and found someone who shared the same concerns we have for our community and school. Students who attended schools over five hours apart connected with each other. It was so inspiring to see so many students connect so quickly and discuss how they could implement change sharing personal stories and establishing a relationship with one another. The passion those students had for their community and school was unbelievable. They were bringing up issues that principals wouldn't even think students knew about and trying to figure out ways to solve them. I believe that Berto Aguayo brought out a leader in every student in that room and would truly love to see what it takes to get students at my school to continue to develop as leaders. Network members and civic learning partners presented many workshops related to our theme. Pleases enjoy reading reflections from DSN members on various breakout sessions from the convening. These reflections focus on addressing civic learning across the curriculum, a key component of being a Democracy School. A day filled with educators creating conversations about democratic ideals and what it means to be a civically engaged citizen led educators to present about their areas of expertise. 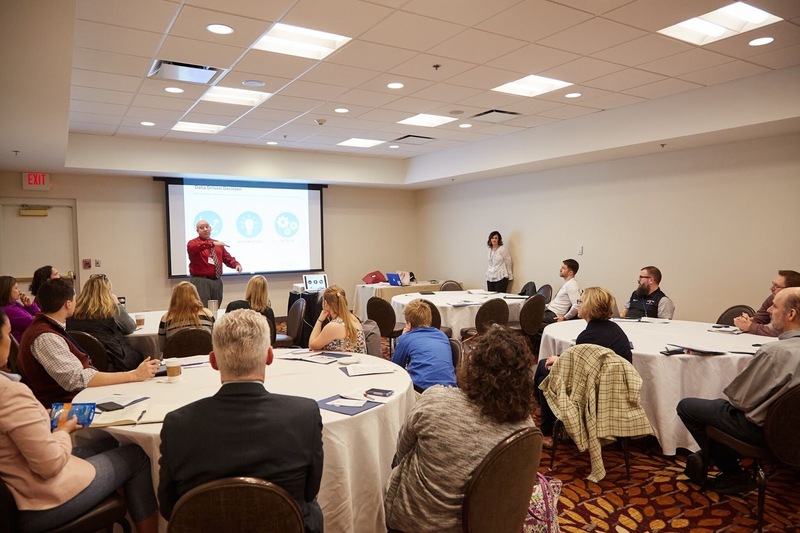 The Robert R. McCormick Foundation’s Democracy Schools Network facilitated academic sessions where professionals created authentic conversations with educators. On Friday, March 9th Heather VanBenthuysen, Civic Education Manger at Chicago Public Schools, delivered a presentation on the power of media literacy. VanBenthuysen began her presentation with an inquisitive question, “Why is media literacy important?” Her audience, educators, began to consider how media is used in society and how they have conversations with their students about media. VanBenthuysen led her audience into a conversation about how to support students to create ethical media literacy with a resounding message, “Simply producing media is not media literacy.” There is a need to teach students how to verify information to counter fake news. The room began to write down her message, shared ideas with their fellow teachers by questioning how they teach their students about using media purposefully. Beyond the profound messages about teaching media literacy, VanBenthuysen also discussed how to support students in understanding tacit messages in today’s media through rhetorical analysis. VanBenthuysen said, “All media messages have a purpose” and it is the job of educators to help students understand the underlying messages. 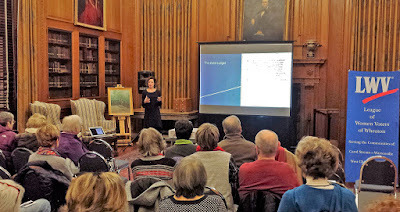 Her discussion about the purpose behind media and using Aristotle’s rhetorical triangle led the audience to learn methods how to interpret media. Climate Change was the subject of the presentation made by Mark Mesle at the recent Democracy School Convening. Mark made us all aware that “climate changes is more than melting ice caps and the plight of polar bears”. Climate change has resulted in a wide range of complex problems that affect countries and individuals around the world today. According to Climate Central, “2017 finished as the third – warmest year since records began”. In fact, the top ten hottest years globally have been within the life time of most high school seniors. As the impacts of climate change become more pronounced, it will become a topic that finds its way into more and more classroom discussions. Climate change is not just a scientific issue but an economic issue, a social justice issue, a public health issue and a civics issue with local and international consequences. In Chicago over the past century, downpours that force human waste up pipes and into homes — storms that dump at least 1.5 inches of rain in a single day — have struck the city more often. Annual precipitation in the Midwest grew about 20 percent during the past century. Rains of more than 2.5 inches a day are expected to increase another 50 percent in the next 20 years. That means more flooding—and more clean-up costs. Yet, sadly, the United States is the only country to not join the Paris Climate Accord. The multidisciplinary study of the political, social, scientific and economic effects of climate change is an opportunity for students to take action on an important issue. 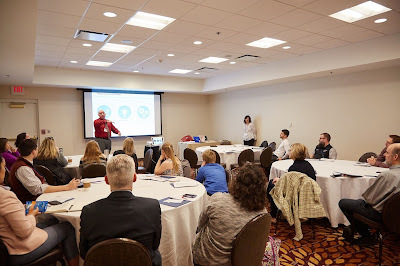 Network members and civic learning partners presented many workshops related to our theme. Pleases enjoy reading reflections from DSN members on various breakout sessions from the convening. These reflections focus on addressing issues of Diversity, Equity and Inclusion- a necessary step in working towards eliminating the civic empowerment gap. Like many schools across the nation, students at Grayslake North were increasingly growing concerned about the underlying non-inclusive and sometimes hurtful discourse that was becoming pervasive in their hallways in the days leading up to and following the 2016 Presidential election. A group of students recognized that this was not what Grayslake North stood for and decided to take action. After meeting with Social Studies Department Chair Christopher Kubic the students formed the group Woke whose mission was dedicated to addressing the issues Grayslake North was facing. What started off as 4 students and Mr. Kubic has grown into a schoolwide movement involving multiple stakeholders. In that time the focus of Woke has expanded from being solely on the issue of diversity to encompassing new issues such as inclusivity, civil discourse and in the wake of Stoneman Douglass, school safety. What started as a grassroots student movement has now grown to include staff professional development and community outreach. Woke brought a speaker in to work with Grayslake North staff on how to address the issues students were facing throughout their school day. Through the existence of Woke, students and staff have learned how to have civil and productive disagreements and there are now monthly activities in place centered around the mission of creating a positive culture of positive conversation. Students at North are frequently reminded that their culture of discourse should value the conversation more than the value of convincing someone that their side is correct or wrong. Additionally, both students and staff have been trained in the Teaching Tolerance IQEE (Interrupt, Question, Educate, Echo) method which helps them guide a conversation with a person who has said something hurtful or offensive. The highlights of the session were hearing from Woke members Rachel Garza and Alex Almanza who spoke passionately about the changes that they have seen at Grayslake North since Woke was developed. This was a true student-led movement at North, and the implementation of this organization has had far-reaching positive benefits across the culture of the school and community. More information about Woke can be found in the presentation and handouts. The power of student voice is alive and well at Grayslake North, and because of the Woke student-led organization North is now a more inclusive place where every student feels comfortable sharing their thoughts with their community. Mathematics, equity and civic engagement: what’s the connection? How to build a high school Mathematics curriculum that is just and equitable, providing access and opportunities for success for all students. The pedagogical changes necessary to implement this program. Being able to understand and apply mathematical concepts and skills prepares students for college, careers, and access to the American Dream. How can this be accomplished? This presentation provided information about how and why high school students often do not have access to college prep Math classes and how this opportunity gap leaves them unprepared for the ACT, SAT and college placement exams, holds them back in course advancement in college, and becomes a stumbling block to access the American Dream. Glenbard High School District 87 decided to eliminate the basic level of Math classes so that all freshmen enter the Math program at the Algebra I level or higher. This allows them to complete Algebra II Trig in junior year, providing them with better access to college opportunities and the doors that a college education opens. This is quite a challenge but the Glenbard schools have adopted a comprehensive program of professional development, techniques to increase student engagement, practical applications of mathematical concepts across the curriculum, high expectations for all students, interventions for struggling students, and authentic assessments of learning. The session was very interactive and it began with the presenters asking the participants to describe some of their personal experiences with Math. It was a diverse group so there was a wide range of responses, but “challenge” seemed to be the word of the day. And so it goes in the classroom. Students come in with a wide variety of knowledge, experiences and attitudes and the challenge is to engage all of them, help them make meaning of the concepts, and use the skills in a practical way. The session continued with reading two articles from the National Council of Supervisors of Mathematics, “Mathematics Education through the Lens of Social Justice: Acknowledgement, Actions, and Accountability” and “Improving Student Achievement by Leading the Pursuit of a Vision for Equity.” A lively discussion followed, questions were raised and ideas were shared about how important equity in STEM classes is, where it is lacking in the schools represented in the session, and how to address the opportunity gap. So back to the original question: Mathematics, equity and civic engagement: what’s the connection? Mathematics gives us the tools to better understand the world and solve a variety of problems. Equity in education means that communities, students, teachers and schools have the resources to meet all students where they are and help move them forward. Civic engagement means that citizens and community members have the knowledge, attitudes, skills and actions to influence the policy making and implementation process. Mathematical skills such as working with statistics, are critical in making sense of many political issues and current events. When students have equitable access to education, and the opportunity to engage in and see the value of their learning, they are better prepared to consume, understand, and create information in a rapidly changing world. They can use their voices to advocate for the causes that are important to them and their communities. Knowledge is power. When 18 national and local grant makers join forces, the result is $1.1 million to fuel 37 cutting edge immigrant and refugee organizations. While the fundraising number is always reported, the story at the heart of the Illinois Immigration Funders Collaborative (IFC) is the work of front line organizations ambitiously strengthening our state. What follows are examples of three agencies within the collaborative working tirelessly to serve, organize, and advocate for marginalized, scapegoated, abused, exploited, and mistreated communities. In recent decades, there has been a rapid influx of immigrants moving to the suburbs of Chicago, largely due to an increase in jobs and a lower cost of living. 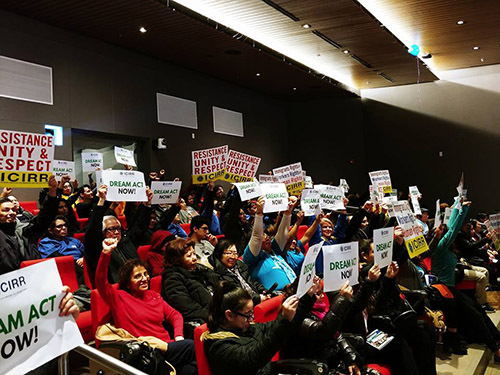 Southwest Suburban Immigrant Project (SSIP) led by two young immigrants, Jose Eduardo Vera and Elizabeth Cervantes, help suburban immigrants access the tools and information needed to effect change and become leaders in their communities. Because of the work done by SSIP, more suburban immigrants are finding pathways to citizenship, becoming more involved in their children’s education, and learning about and advocating for the rights of undocumented citizens and other immigrant communities. In many cases, immigrant families successfully utilize available resources they need to prosper in their new communities; however, when the immigrant is a child making the long journey alone, the odds of finding asylum are bleak. Escaping violence, human trafficking, abuse, and extreme poverty demands extraordinary courage and resilience. The U.S. has long been a safe haven for such asylum-seekers, but today most are detained and threatened with deportation. 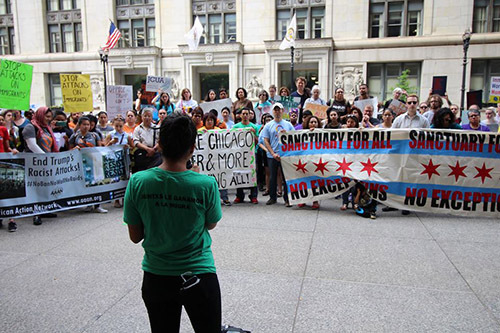 The Young Center for Immigrant Children (YCIC) Chicago serves as a trusted ally by providing these young immigrants with attorneys and social workers who can ensure their safety and well-being. The services provided by YCIC to the immigrant children that arrive in our communities are immeasurable! Often, we assume that all immigrant families come from similar backgrounds and require similar resources; however, that is not always the case. For example, Asians make up the second largest immigrant population in Illinois, and they require very different support services than, say, Mexican immigrants. HANA Center combines community services and organizing for Koreans from its offices in Albany Park (Chicago) and Prospect Heights. The Center advocates for pro-immigrant state policy and educates the Asian community about the laws that directly affect them. In 2017, HANA community members worked tirelessly to get the Illinois Trust Act passed. 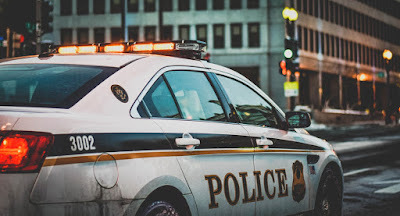 The legislation was crafted to prevent law enforcement officials across the state from detaining individuals based solely on their immigration status and to limit local agencies’ cooperation with federal immigration authorities. In August 2017, Governor Rauner signed the bill into law. These are just three of examples of the incredible work being done by immigrant and refugee organizations within the Illinois Immigration Funders Collaborative (IFC). Yet, the most important point to state is that each IFC’s partner organization is making a positive and lasting impact in communities across the state. The Social Justice News Nexus at Medill partners with journalists to explore issues impacting Chicago communities. 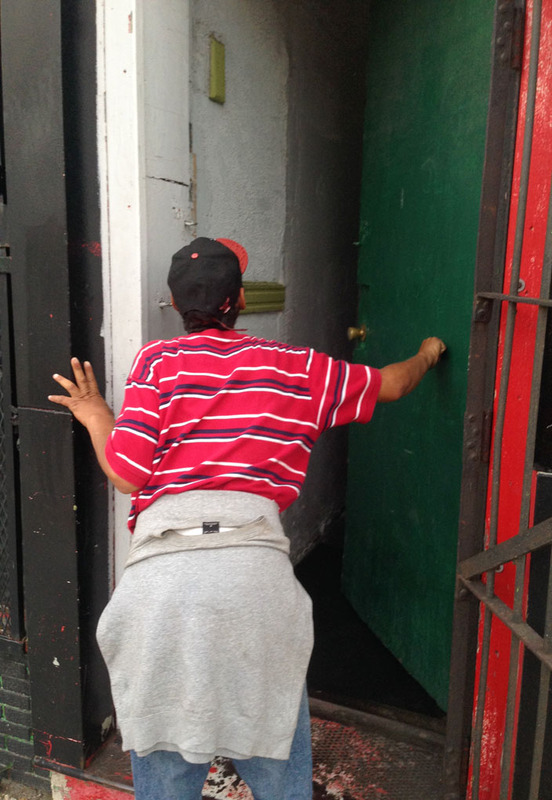 When Adriana Cardona-Maguigad walked around the Back of the Yards neighborhood where she was editor of a community newspaper, she would often chat with people living on the streets or in abandoned buildings. She was surprised to hear that many of them had Puerto Rican accents, since the Southwest Side neighborhood has a largely Mexican immigrant population. Cardona, who moved to the U.S. from Colombia as a teenager, started asking more questions. 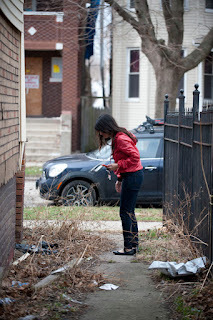 She began uncovering a strange and troubling story: many of the men and women had come to Chicago from Puerto Rico to live in unlicensed drug treatment centers housed in storefronts and residential buildings in Back of the Yards and surrounding immigrant neighborhoods. And some of them had been sent by Puerto Rican government authorities. Around this time Cardona was selected as one of the inaugural class of Fellows in the Social Justice News Nexus (SJNN), a program launched by the Medill School of Journalism with support from the Robert R. McCormick Foundation. SJNN’s mission was to bring together journalists, community leaders and Medill graduate students to tell the stories and amplify the voices of people in marginalized communities, related to important policy and social justice issues. 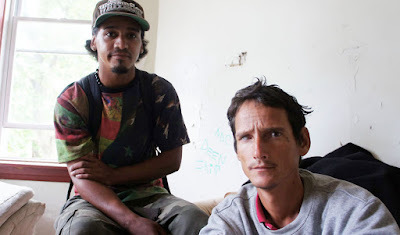 With financial and editorial support from SJNN, Cardona continued digging into the story of Puerto Ricans sent to unlicensed treatment centers in Chicago, where they reported a complete lack of medical supervision, manipulative and abusive treatment and other serious issues. 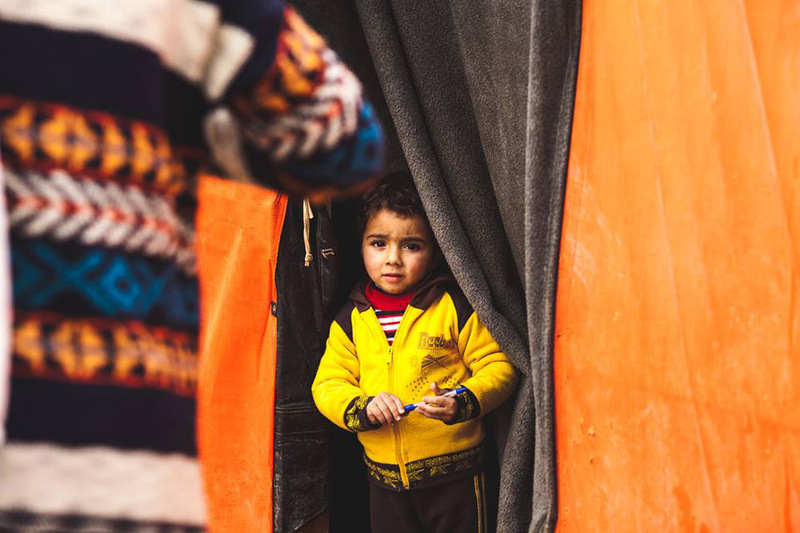 Many people ended up fleeing or kicked out of the centers, leaving them homeless, often without speaking English or even owning warm clothes, in a city where they had no connections or resources. SJNN received a grant from the Fund for Investigative Journalism to allow Cardona and another Fellow to travel to Puerto Rico. And in 2015, the investigation aired on This American Life and WBEZ Chicago Public Media. The experience and connections that Cardona developed through this project continued to shape her career. In 2016 she accepted a job as an investigative reporter at Univision Chicago, where she did more stories on the unlicensed treatment centers and also delved into housing, exploitation of workers, police misconduct, domestic violence and other serious policy and justice issues affecting Univision’s Spanish-speaking audience. Cardona continued to collaborate with SJNN, including as a Fellow leading a team of Medill students investigating asbestos in Chicago Public Schools. The resulting two-part piece showed exposed asbestos in a Chicago elementary school, in a room where children studied and ate lunch. Shortly after the piece aired, the asbestos was repaired and the district’s online asbestos inspection records were updated. The series won two Chicago Emmy’s. Cardona is currently also working with Medill students through SJNN on a piece about immigrants and the state Department of Children and Family Services. She has also collaborated with other SJNN Fellows on investigations, including a recent project with the Chicago Reporter on race and police hiring practices. Cardona’s work throughout her career has been an example of the journalistic approach so sorely needed in a city like Chicago that is notoriously segregated and where large contingents of the population feel they are not adequately represented by media nor given a seat at the table in civic and policy debates. A study by the University of Texas Center on Media Engagement and the Chicago news organization City Bureau released in January 2018 documented how Latino and African American residents on the South and West sides of Chicago feel misrepresented and under-served by the media. 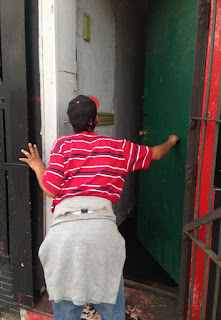 SJNN aims to address this situation by supporting and amplifying the work of journalists like Cardona working and living in these neighborhoods; and also by connecting with community leaders to produce media that will serve their communities and to help journalism students and professional journalists better understand these stories. Since its inception in 2013, SJNN has hosted four annual cohorts of Fellows focused on specific themes: drug policy and treatment, mental health and criminal justice; housing and homelessness; and environmental justice. Currently, Fellows are working with Medill graduate students on in-depth stories about a variety of social justice issues. Fellows have shed light on serious and under-covered issues and also on the resilience and creativity of local leaders in addressing these issues. SJNN Fellows’ stories are published in major media including the Chicago Tribune, WBEZ, Chicago Reader, the Guardian and Crain’s Chicago Business, and also in community media outlets that engage residents who feel misrepresented by and may not consume mainstream media. While SJNN’s core principle is to nurture important journalism and dialogue in local communities, SJNN is also paving the way for distributing such stories on a national level and helping facilitate understanding and dialogue between stakeholders dealing with similar issues in different locations, including through a network of partner media outlets around the country. 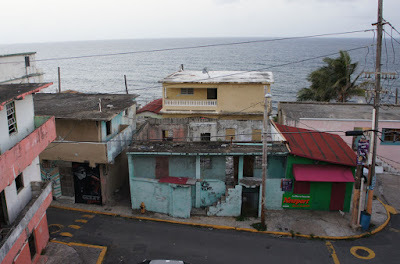 And sparked by Cardona’s project, SJNN has also had a long-standing focus on Puerto Rico including relationships with community organizations and leaders in Puerto Rico and in Chicago’s Puerto Rican community. 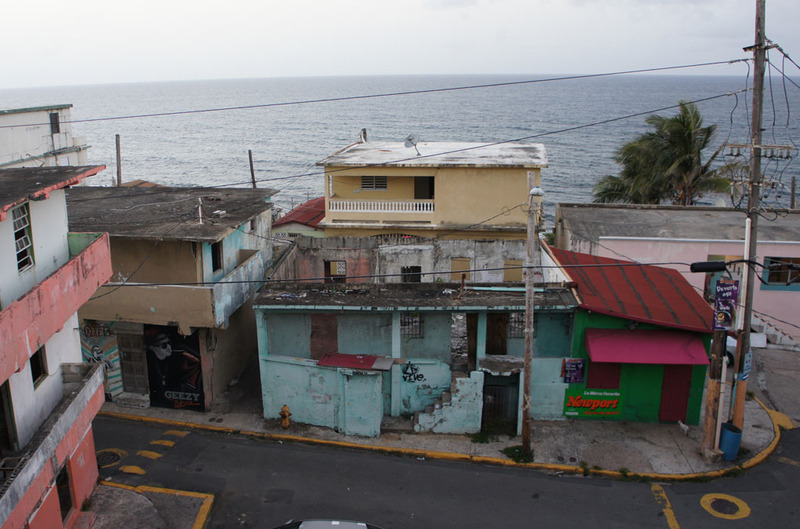 For the past three years Medill students have traveled to Puerto Rico on a “Medill Explores” trip hosted by SJNN. And students have also with SJNN support traveled to cover Native American movements in Standing Rock and on the Crow reservation; Black Lives Matters protests in the Twin Cities; Arab American communities in Dearborn, Mich., and social justice issues in other locations. By supporting and connecting community leaders, journalists from a wide range of media outlets and backgrounds and journalism students, SJNN aims to help tell stories of crucial impact at a time that a vibrant, diverse and independent media is more important than ever. Some connections are just meant to be. That seems to be the case with Cantigny Park’s McCormick House and the League of Women Voters of Wheaton. The two struck a partnership last fall, launching a Civic Awareness Series based on a common interest in encouraging local participation in the democratic process. The series features monthly gatherings with guest speakers inside McCormick House, the former home of Cantigny’s benefactor, Robert R. McCormick. Appropriately, the proceedings take place in Freedom Hall, the mansion’s impressive library. Meetings begin at 7 pm and are free to attend, including parking. Meetings so far in 2018 have covered such topics as the March 20 Illinois primary, the status and future of the Equal Rights Amendment in Illinois, and environmental issues and policy. On May 10, Steve Schwinn, Constitutional Law Professor at John Marshall Law School, will discuss major issues facing the U.S. Supreme Court. All are welcome, but advance registration is requested due to limited seating. Register online at wheatonlwvil.org. Complimentary coffee and dessert are offered following each month’s presentation, a format that fosters discussion and interaction. The League of Women Voters is a nonpartisan political organization encouraging informed and active participation in government. It influences public policy through education and advocacy and does not support or oppose any political party or candidate. The League of Women Voters of Wheaton serves the people of Wheaton, Winfield, West Chicago, Warrenville and Carol Stream. Learn more at wheatonlwvil.org, where you can also RSVP for the next Civic Awareness Series event.